Temperatures have finally plunged in the Alps which is great timing for the start of the much awaited opening of the ski season. Cold winds from the east have seen the temperatures drop significantly and there has been a flurry of snowfall in most of the ski resorts which is a welcoming sight. Other news is it is now officially cold enough to turn the snow cannons on to give a good coverage of snow. This will help the fine cover of snow lower down where it’s literally a smattering of the white stuff – thank goodness for those hard working cannons. The beginning of December it’s reported there will be heavy snowfall at high altitude resorts, which is great for all of those hoping to get some pre Christmas skiing in, or indeed those enjoying the festive season doing what they enjoy most. This weather change is welcomed as the ski resorts start to open, its true a few have had to delay their opening due to the temperatures still been fairly high for this time of year. The good news is Obergurgl in the Austrian Tyrol opened on time however Val Thorens in France had to delay the opening due to lack of snow below 2700m. The opening is now on for this weekend with a party to start the season off with a bang, thanks to the snow cannons being in full operating mode. This weekend also sees the opening of Val d’Isère in France and at high altitude 2700m there is snow galore. In the valley and on the lower ski runs it’s a tad sparse but once again those wonderful snow cannons come to the rescue. Another much awaited opening is in Ischgl Austria where there has been a little snowfall and temperatures are dropping daily. Snow is expected the remainder of this week and the Italian Dolomites plus Austria at the eastern and southern Alps should see it fall there first. Next are parts of France and Italy towards the south western Alps should see a decent covering. The temperature during the days will still be a little higher although it’s expected that there will be a few sub-zero evenings and nights. I think we are still in autumn and winter has not really started just yet. There will be cold snaps and it will warm up again so be patient for now. This weekend will be still a little mild but next week should be colder. If you are hoping to visit the slopes imminently head for the high altitude resorts for assured snow coverage. Don’t forget this is only the beginning of the season so factor this into your upcoming plans. 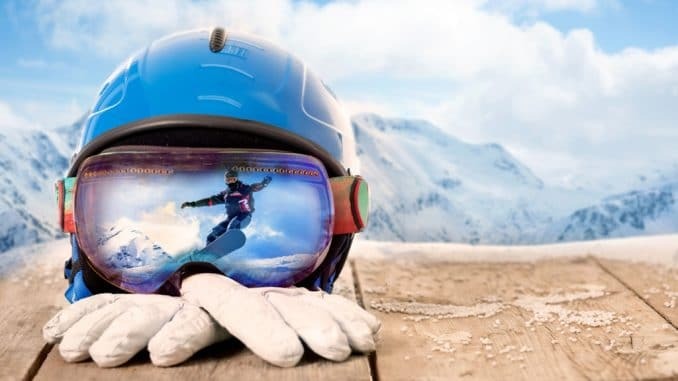 As the ski season gets under way remember to ensure all your ski equipment is in good working order and book travel insurance. Plus if you are flying don’t forget to add your ski equipment on your flight details. So, happy skiing!